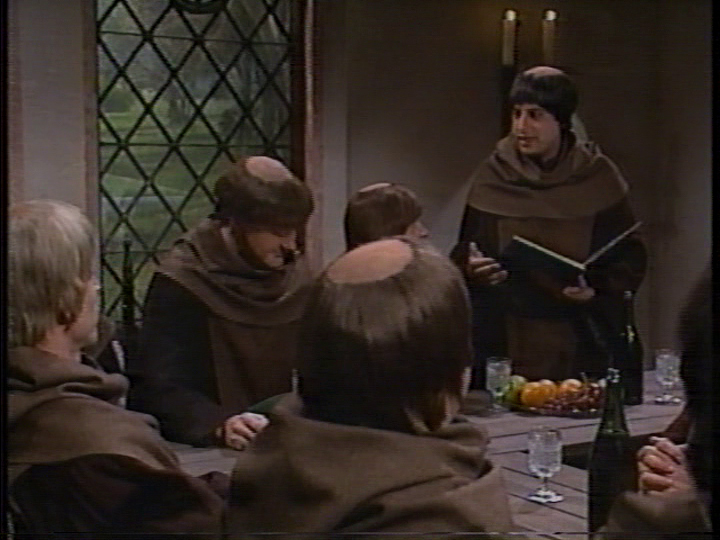 Monks use their annual break from their vow of silence to attend to business and decide who to bet on in this year’s Super Bowl. 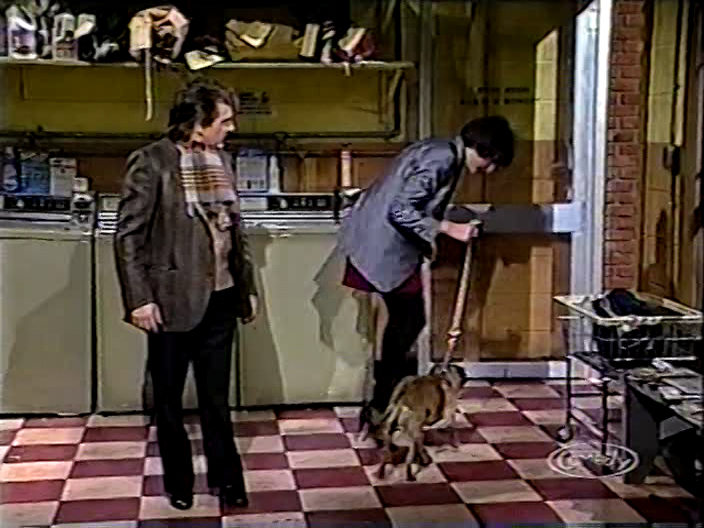 A little slow moving, though there are some small laughs from Robert Downey Jr.’s character being eager to raise prices at the kennel because of the fire at the veterinary clinic, and I thought the reveal of the football bet was well handled. 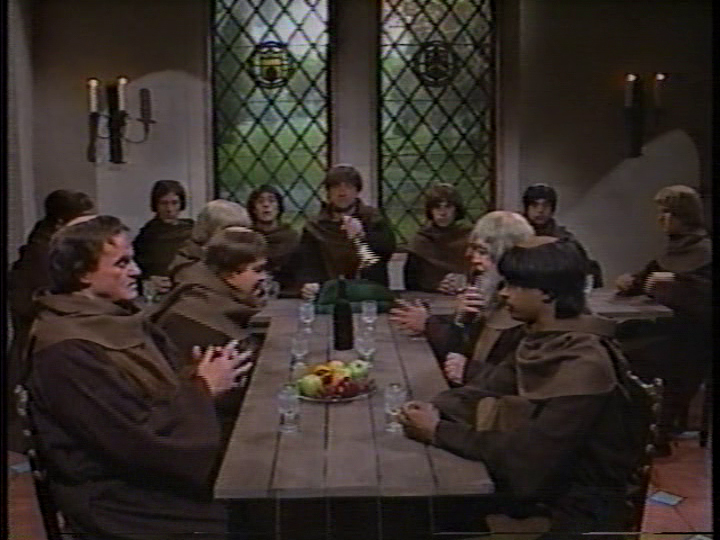 Damon Wayans makes his only appearance in this week’s show as a non-speaking extra in this sketch. 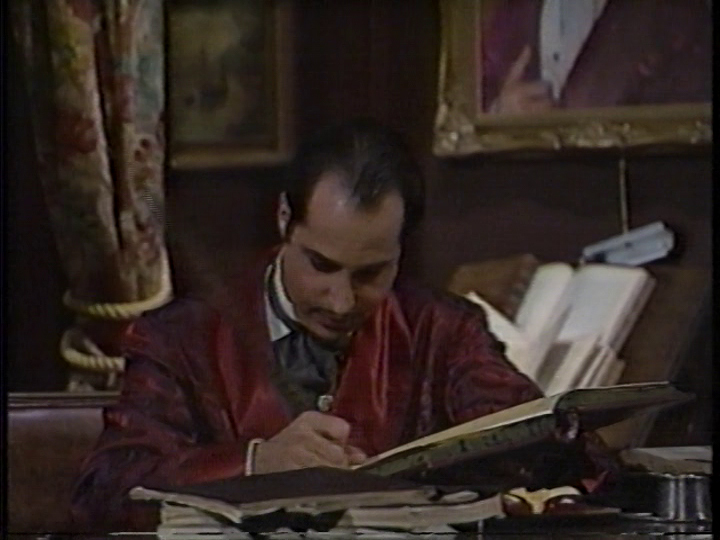 Is there a reason why Terry Sweeney’s character is so nervous, or was that just a poor attempt at conveying excitement? 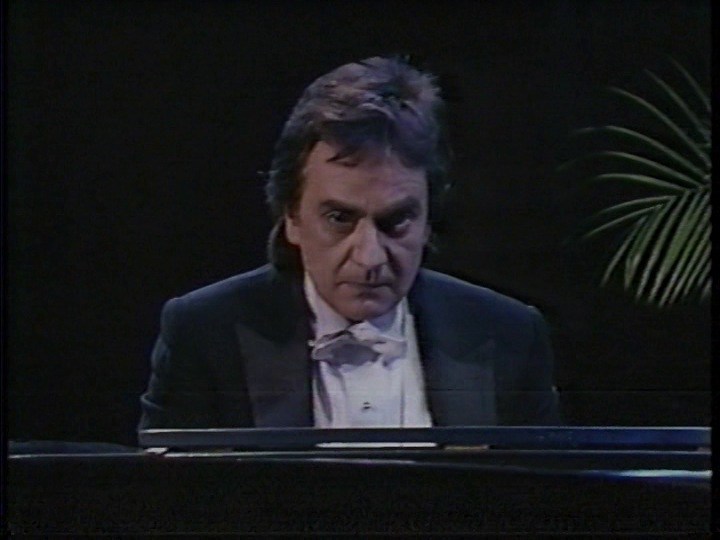 According to the profile of the show that appeared in the April 1986 issue of Cosmopolitan, Don Novello had an idea for a spoof of nighttime soaps like Dallas, Dynasty, etc. 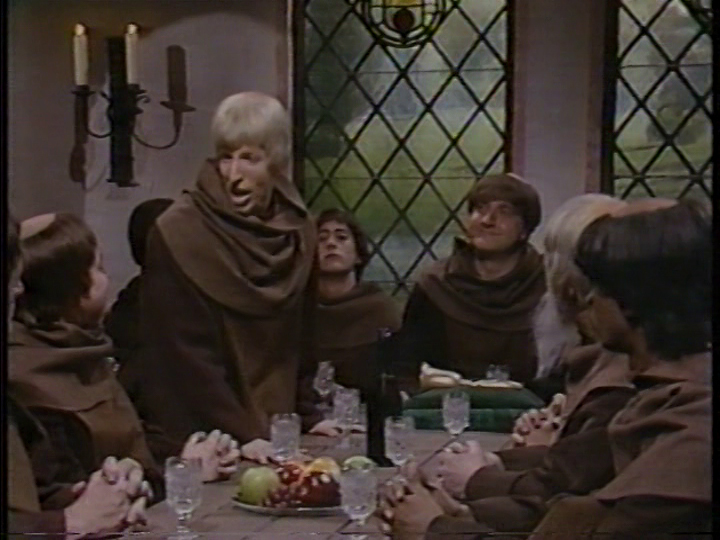 with a sketch about filthy-rich monks called Monastery; I’m not sure if this sketch came from that concept. 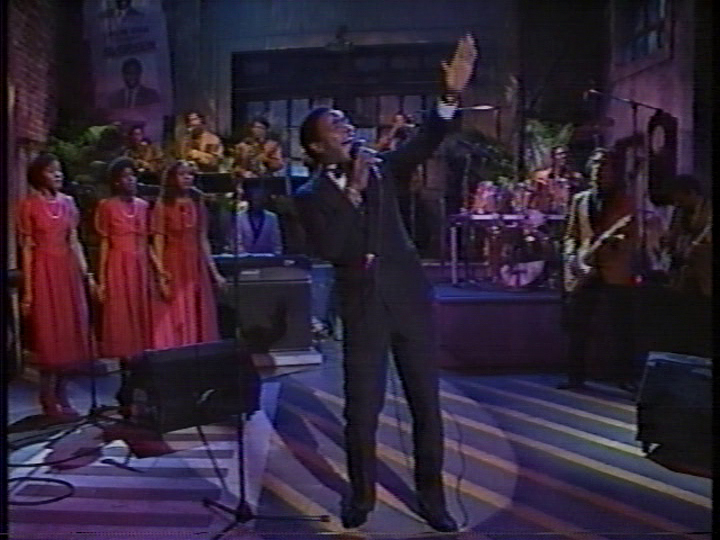 The theme song is back to its normal tempo and Steve Ferrone is back behind the kit, though Yogi Horton (who is also credited with the band tonight) is visible standing behind him in the loft during the pan down to home base. 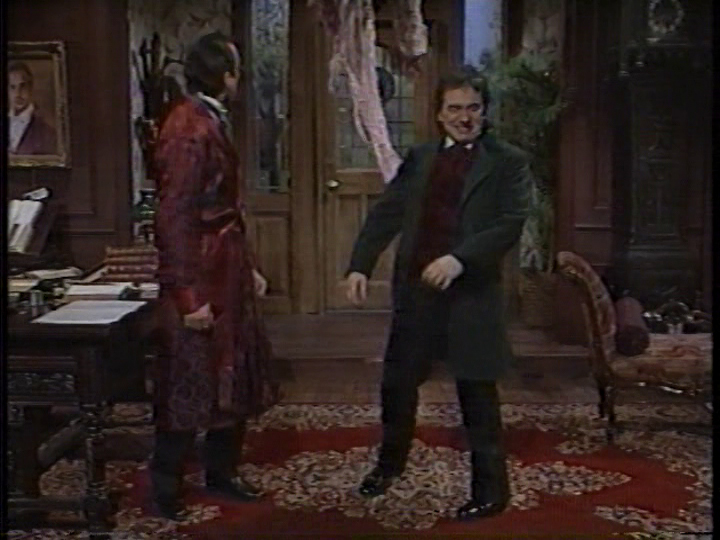 Rerun alterations: Sweetened audience applause and cheers; you can usually tell if this is the case because the audience has an unnatural sounding constant “hooting and hollering” quality to it. 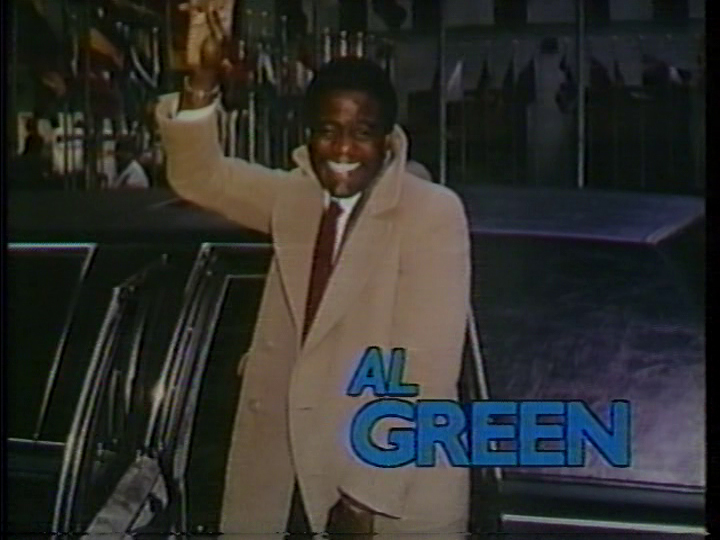 As well, the repeat version uses an updated version of the NBC In Stereo graphic that uses the modern 6-feather peacock instead of the 11-feather version. 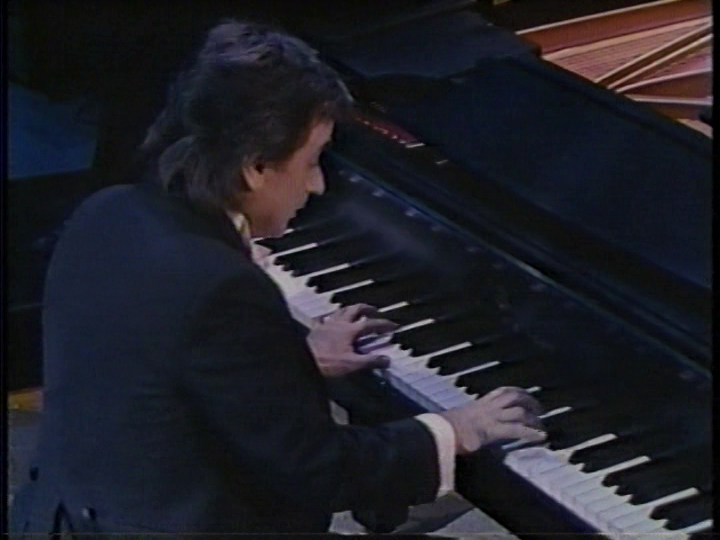 Dudley Moore plays “Colonel Bogey March” in the form of a Beethoven sonata. 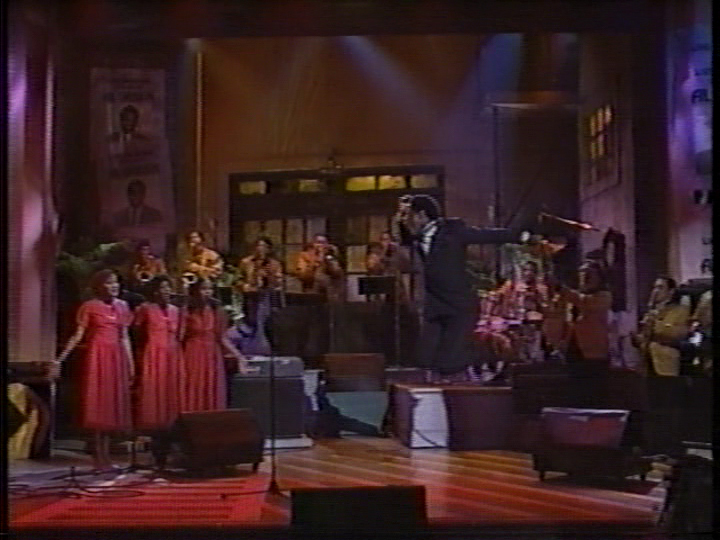 This is one of Moore’s staple bits he had been performing since Beyond the Fringe; this was a good way to lead off the show. 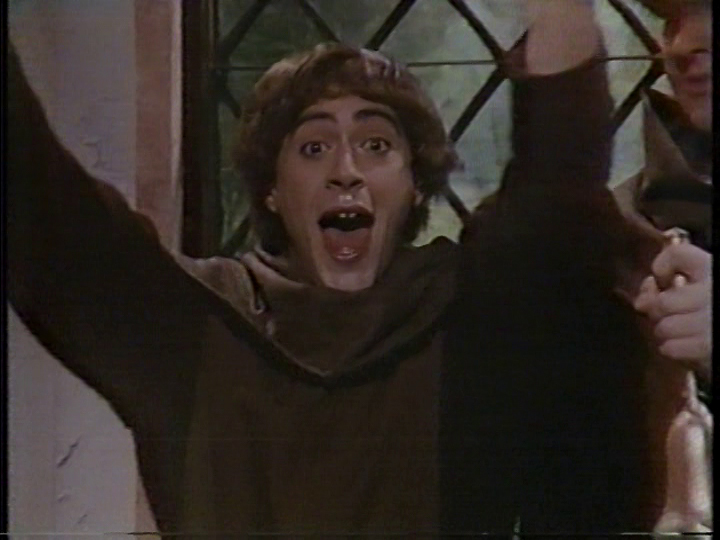 Not only is Moore’s playing impressive, he also adds funny facial expressions and reactions throughout. 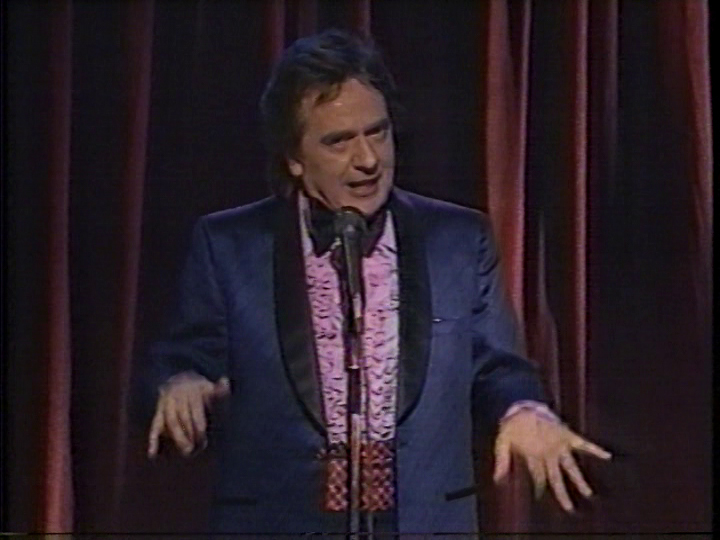 Moore uses the “Carlin line” in his introduction when he talks about last hosting ten years ago that week (“It was such a success, they had me back 10 short years later”). 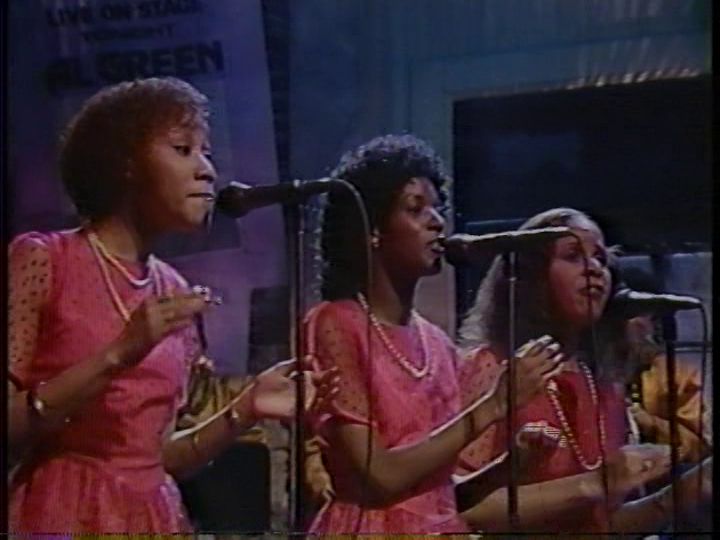 Roman Polanski (Dudley Moore) hosts as Cabrini Green Jackson (Danitra Vance) and Tammy Whitboro (Joan Cusack) compete for the crown. This was a true mixed bag; it clocks in at a whole 11 minutes long, the whole angle of Roman Polanski hosting the pageant and Robert Downey Jr.’s park employee character having impregnated three of the contestants during field trips to the Grand Canyon are understandably problematic, and there’s a scene where Terry Sweeney visibly has trouble seeing what’s on the cue cards. 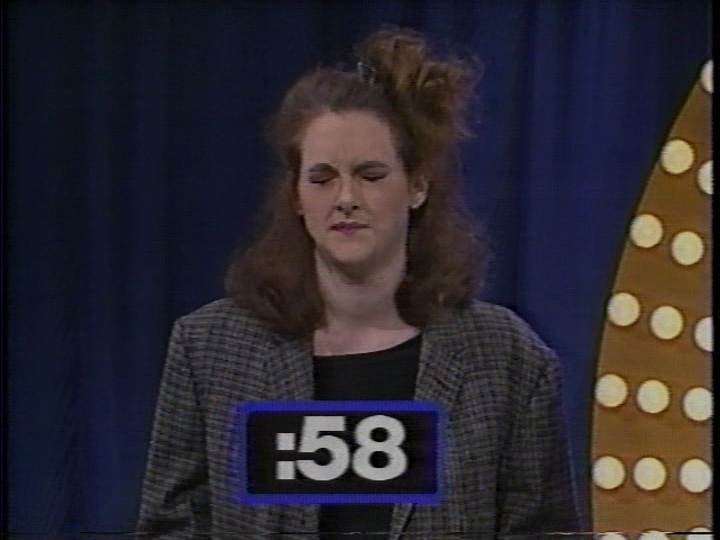 As well, Danitra Vance (making her only sketch appearance tonight) seems to function as a living prop for this sketch; while it does use her big character on the show, it just feels like the writers plopping her in to their premise. 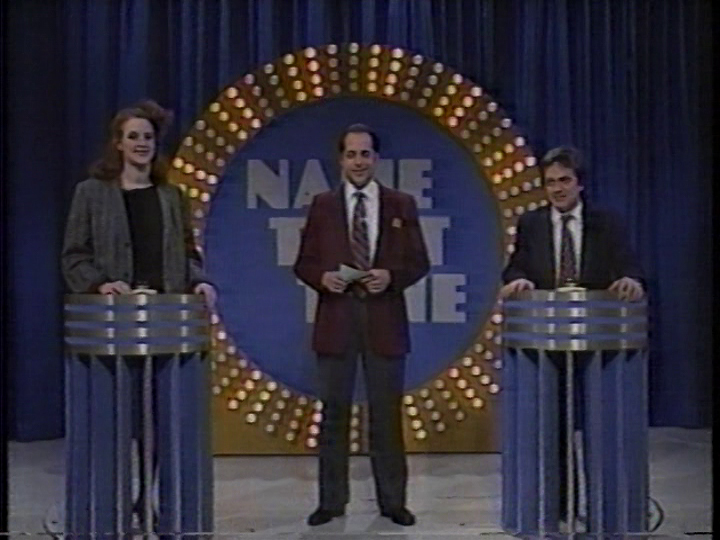 That said, there are some very funny moments with Cusack’s character (who thinks “where do babies come from” is an unanswerable question) and Nora Dunn’s previous winner believing she should not have to relinquish her crown as she is pregnant again. 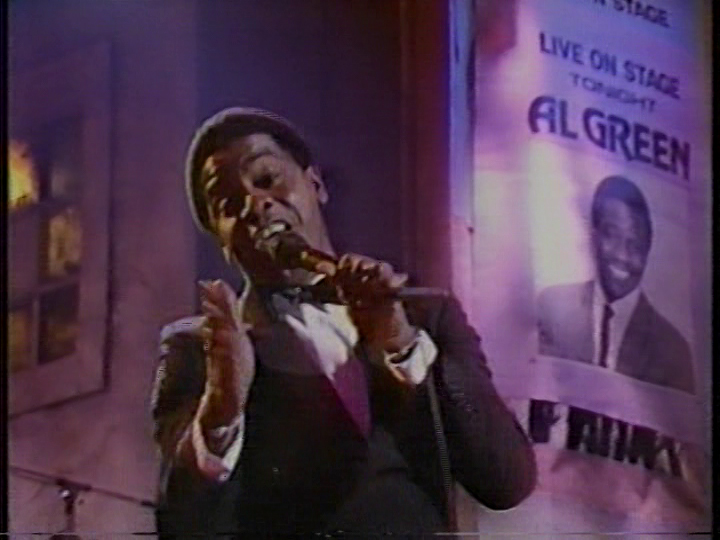 Written by Al Franken, Tom Davis and Jim Downey, as per ASCAP. 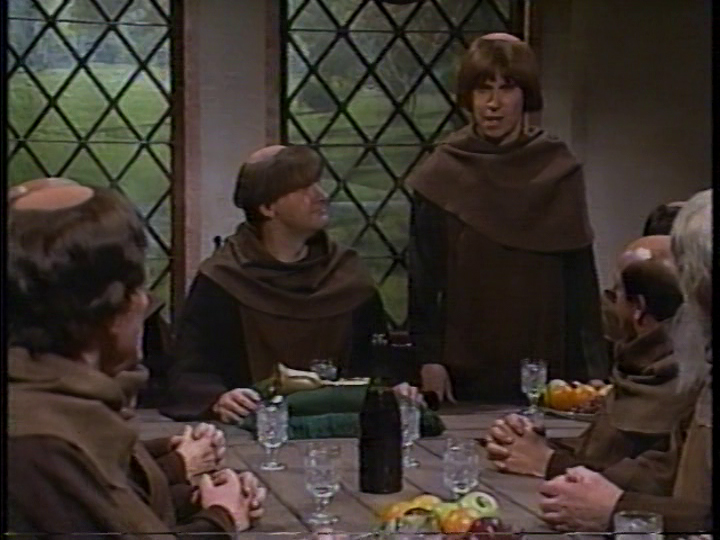 Rerun alterations: This entire sketch is excluded from the rerun version of the show; to fill time, repeats of Where You’re Going, Trojans II and Big Ball of Sports are added to the repeat, as well as an unaired sketch from dress rehearsal (more details later in the review). The repeat of Big Ball of Sports is also notable in that the Balkan Dirt Diving film doesn’t include the audience audio that was in the Stanton show. 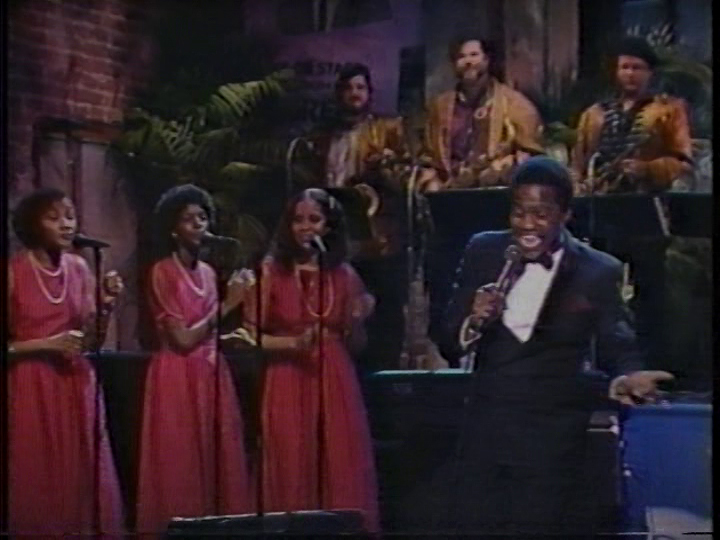 The SNL Band (with Yogi Horton on drums and John Tropea on 2nd guitar) back Al Green on a cut from He Is The Light, his reunion with producer Willie Mitchell. 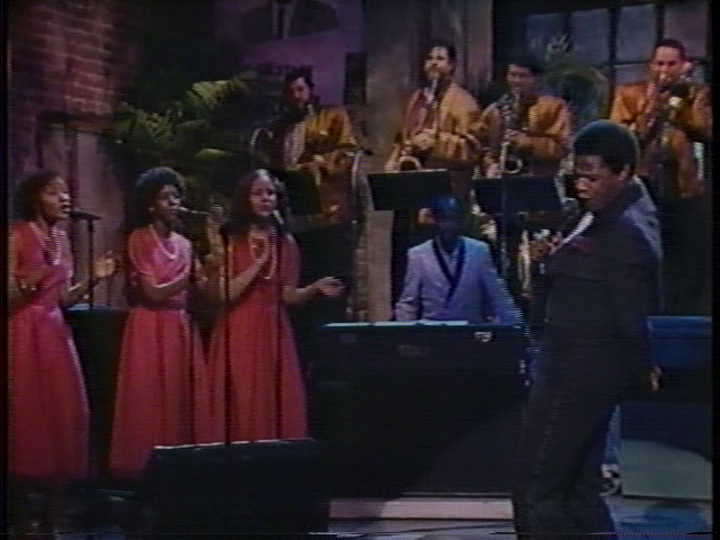 Green’s voice seems a little off in places but the band nails the classic Hi Records sound even better than Mitchell did on the album version (which has a distracting synthesizer during the chorus). 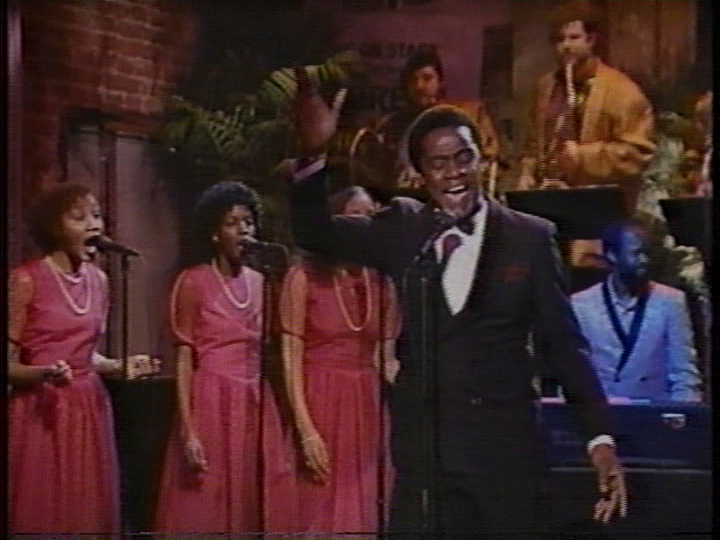 Rerun alterations: The SNL Band is clearer in the repeat, and Green’s vocals are mixed down a little. 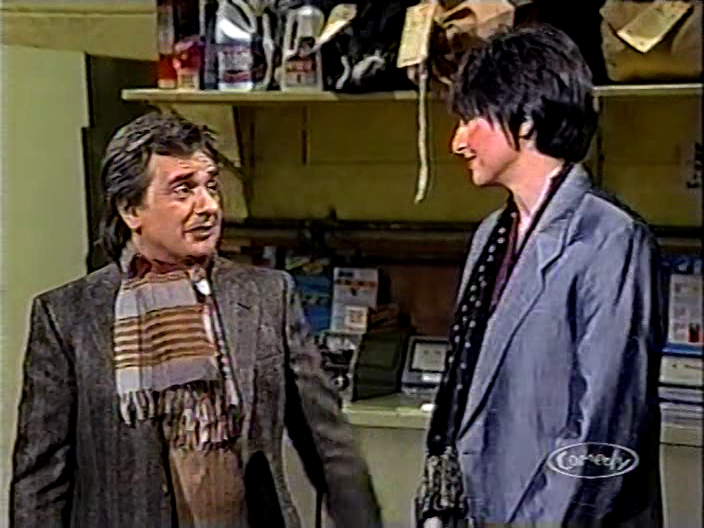 Pat (Nora Dunn) shows how to build self-esteem while reading Vogue, Jackie Stewart (Dudley Moore) discusses kilt-related danger on the racetrack and flame-retardant clothing. Another solid Pat Stevens outing, though this installment suffers a little from being rushed (see “rerun alterations” below for an explanation). 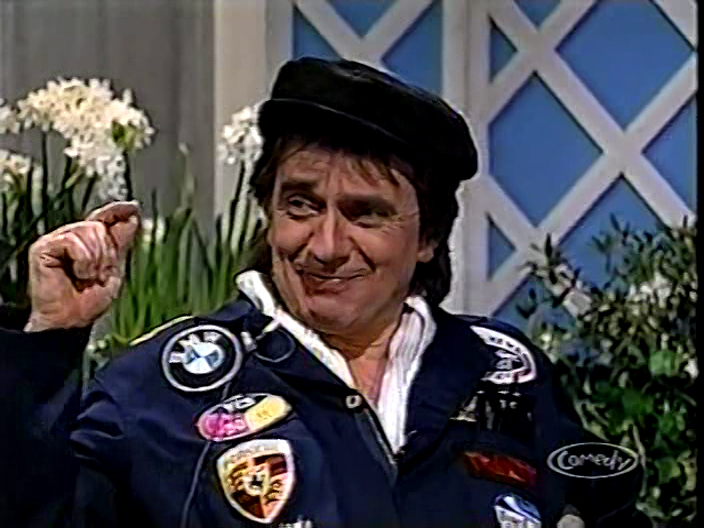 Many of the patches on Moore’s outfit are actually rock band logos (Yes 90125, ZZ Top Eliminator, RATT), as well as regular SNL fake airline TransEastern..
Rerun alterations: This entire sketch is replaced with the dress rehearsal version in reruns, which is easily discernible from the live version in that Moore wears a hat. 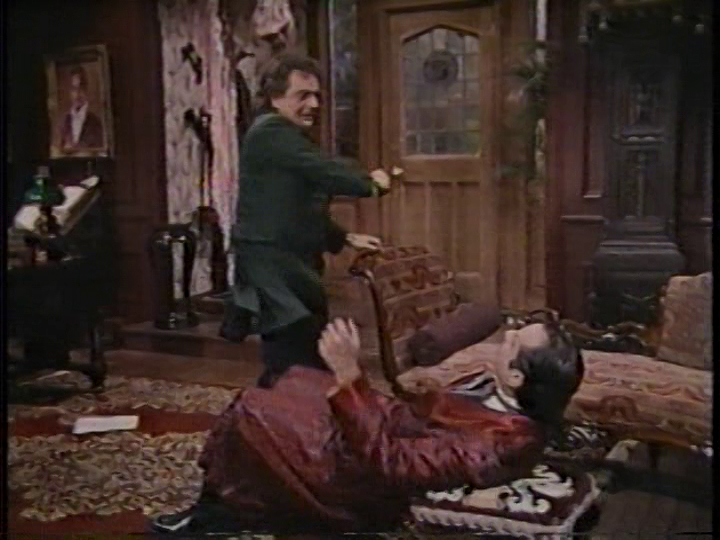 This version also runs more than a full minute longer, has some very funny details in Moore’s stories that were cut from the air version, and both Dunn and Moore eventually start to break character. 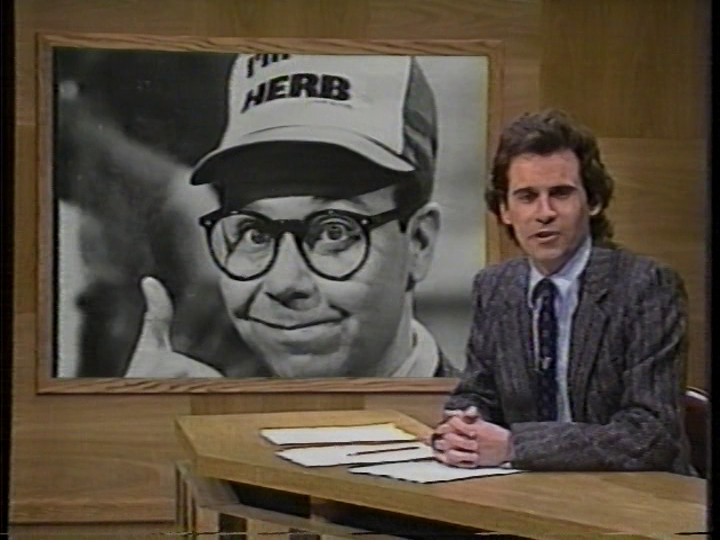 Best jokes: Iacocca biography, Herb revealed. 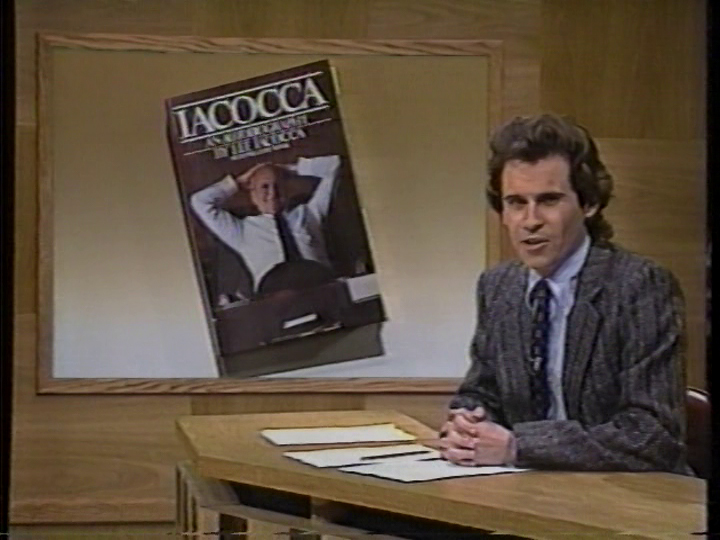 Miller seems to be a little off during the live show, and the joke about the then-upcoming Challenger launch (with the punchline of NASA considering sending Qaddafi on a solo flight) bombs, as does his adlib about the Libyan leader resembling Angel from The Rockford Files. He does recover with a few strong jokes later on, though. 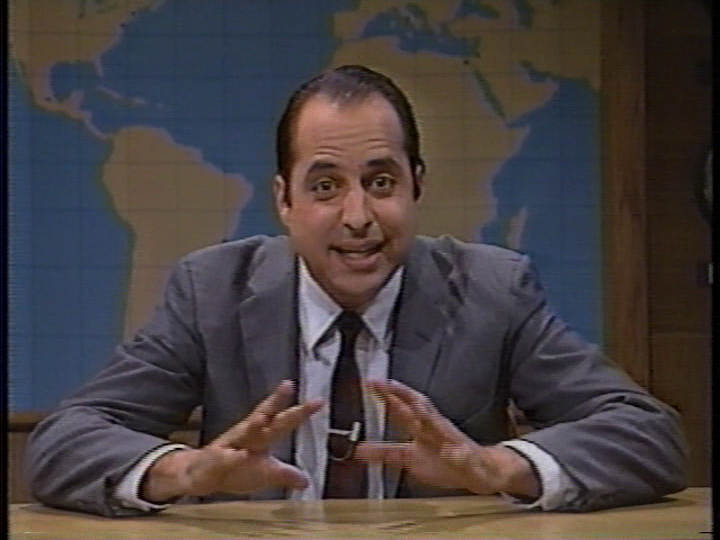 Tommy Flanagan (Jon Lovitz) makes his first appearance at the Weekend Update desk to defend Philippines president Ferdinand Marcos from allegations that he lied about his military honors. 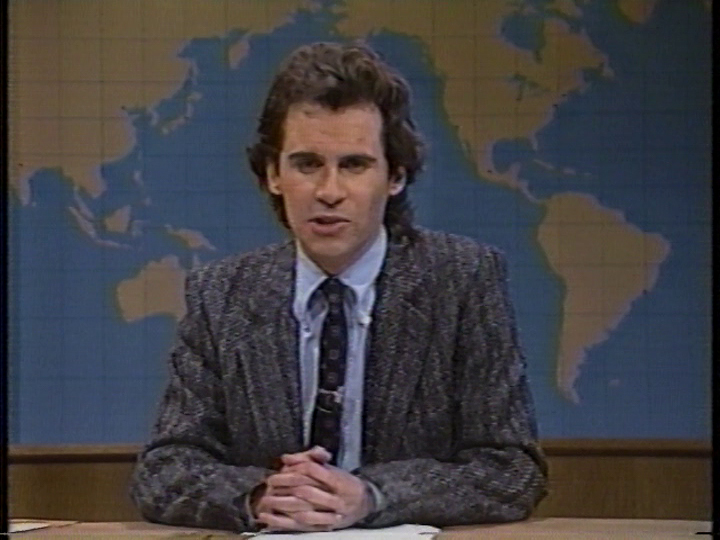 This really feels like Flanagan fully arriving as a major SNL character'; he has some particularly funny lies here (such as he and Marcos “discovering” the Philippines, which was occupied by “flying Japanese sand tigers”, Douglas McArthur being their water boy, and Marcos also winning the islands on “The 250 Th-million Dollar Pyramid”), and the very blatantly doctored photo was a pretty good punchline. 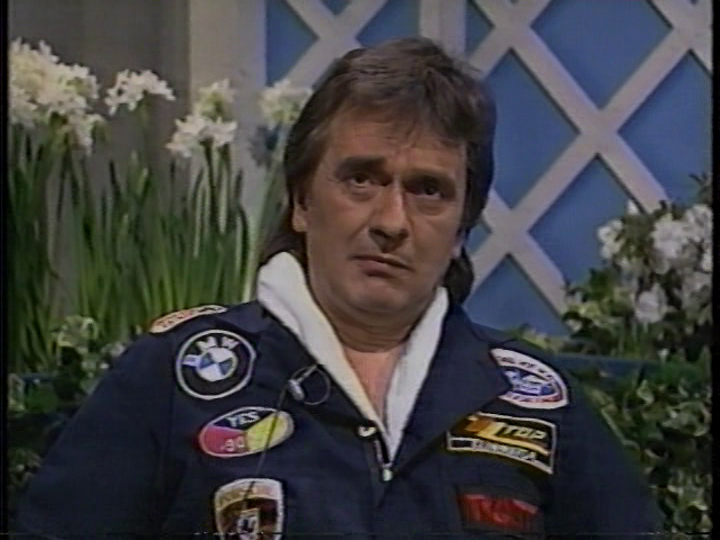 Rerun alterations: The first half is replaced with the dress rehearsal take, which eliminates two jokes (including the Challenger reference, for obvious reasons), and adds two others. 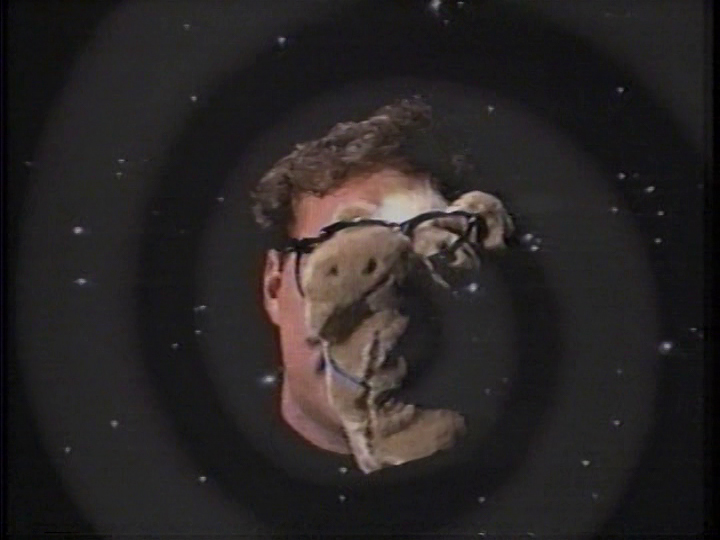 They switch back to the live version at the beginning of the “astrology tips” joke. Mild audience sweetening afterward. 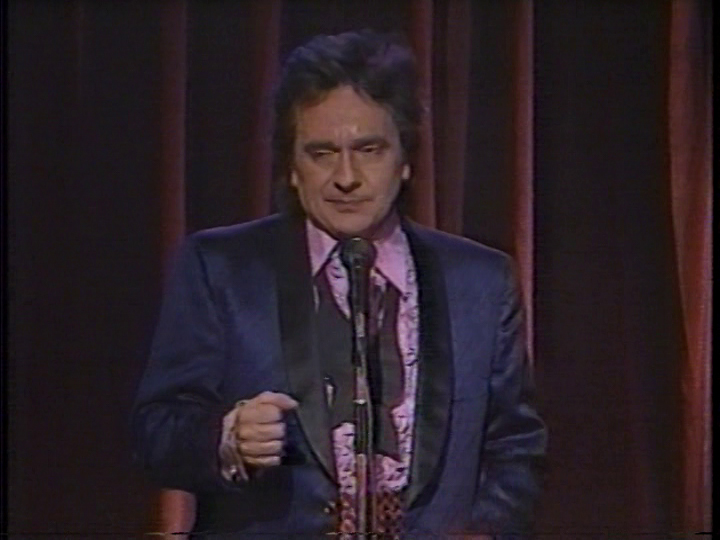 Nightclub comic Freddie Burke (Dudley Moore) is willing to sells his soul for a more responsive audience. 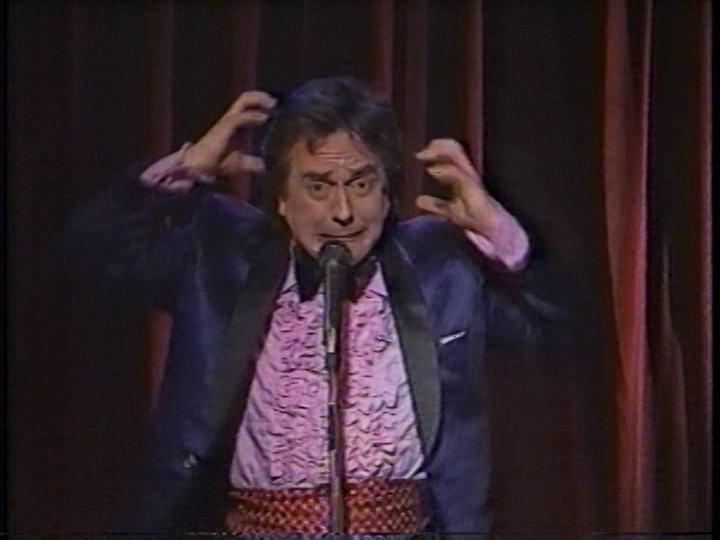 A stronger Limits, with a more developed premise and some laughs from the audience undermining Moore’s punchlines in unison (“Then why are you making fun of her?” “Perhaps she has anorexia! We just read about that in People Magazine!”). 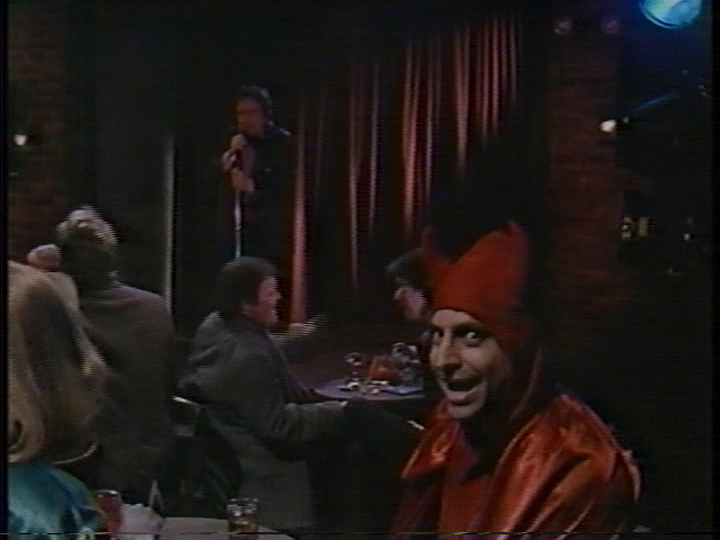 The first appearance of Jon Lovitz as Mephistopheles; his costume is slightly different than it would be in subsequent appearances (his horns are red and point inwards here, as oppose to black and pointing outwards). 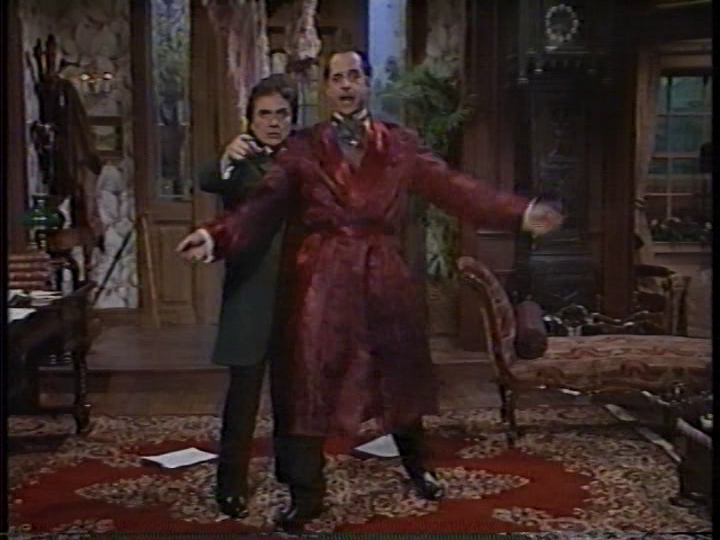 According to Smigel, Lovitz had a persistent cough that interrupted his evil laugh in dress rehearsal, so it was written into the live show. 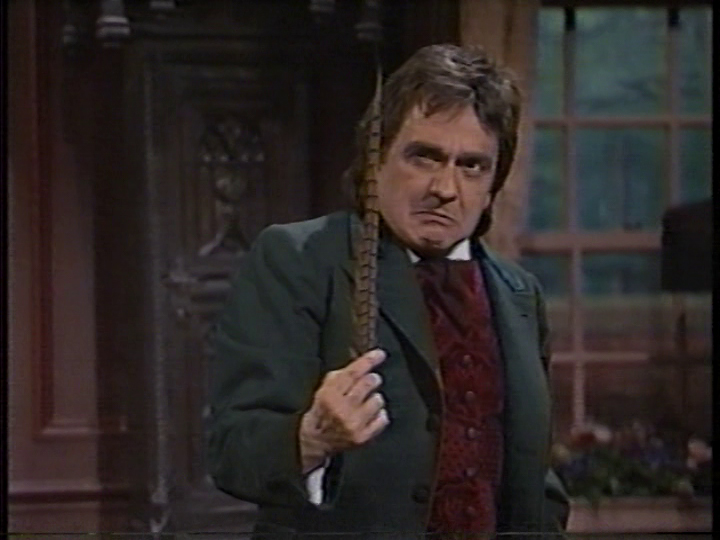 I remember when One Direction first appeared on SNL in 2012 and made a cameo in a Manuel Ortiz Show sketch, one of the members was a dead ringer for Terry Sweeney’s agent character here. 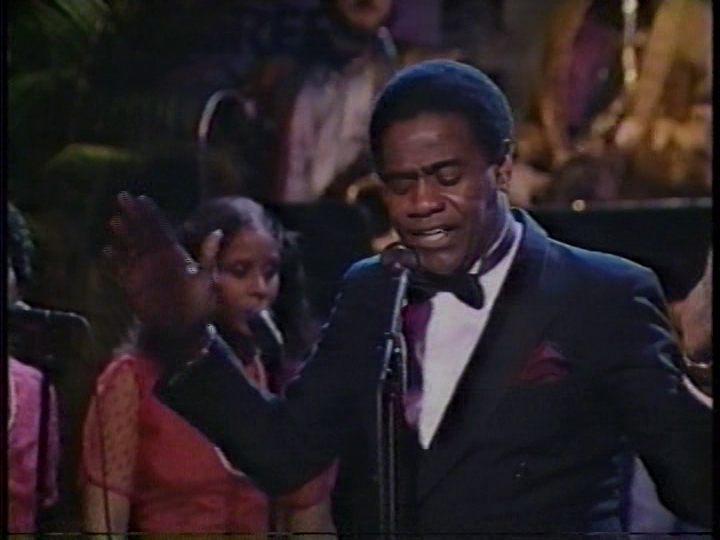 Lanier Laney’s performance as an overexcited audience member has always stuck with me; I always picture that when I hear the “hoots and hollers” added to the montage in repeat versions. 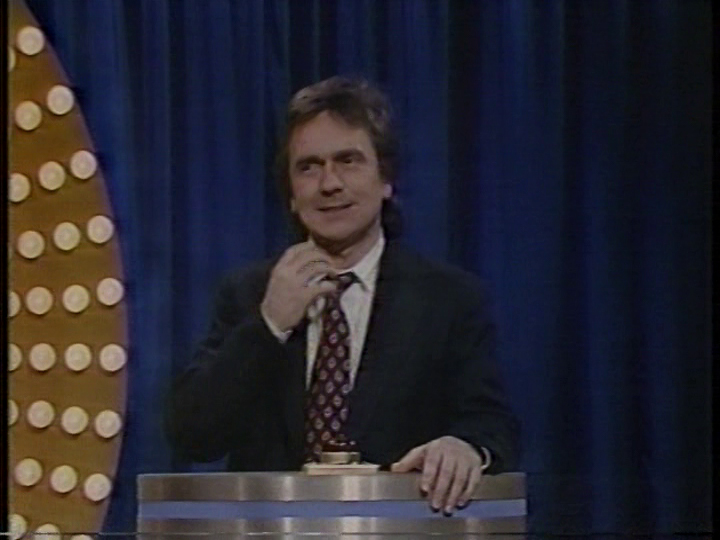 Contestants Ian (Dudley Moore) and Marsha (Joan Cusack) don’t recognize simple and ubiquitous songs. 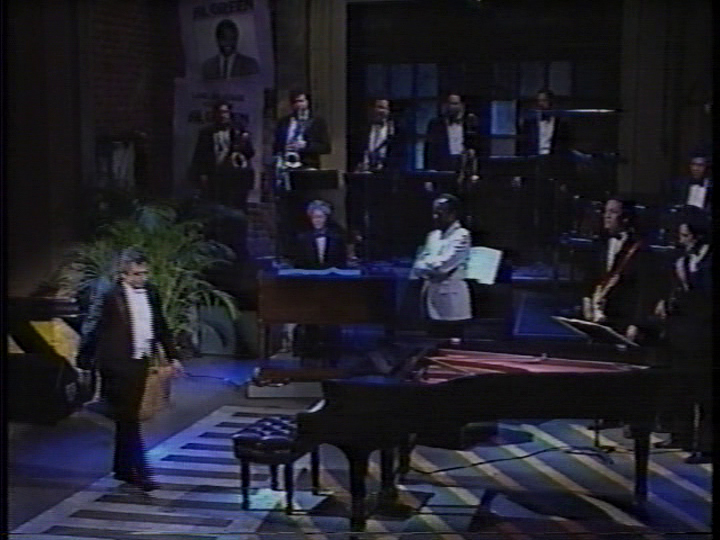 Rerun alterations: What appears to be a technical issue during the live show (no music playing during the intro) is fixed in the rerun (organ music added and a new Pardo voiceover). Moderate audience sweetening. 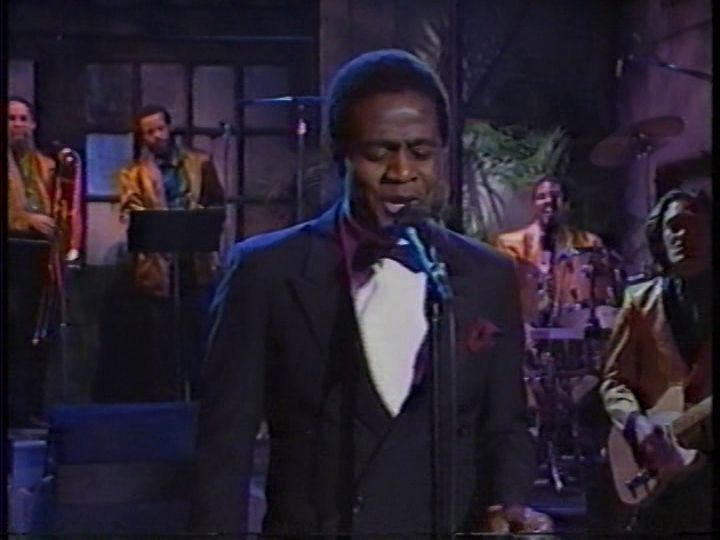 Al Green returns to perform another song from He Is The Light; once again the SNL Band is in great form here, and while Green has a few mic feedback squeaks, he really throws himself into his performance here. 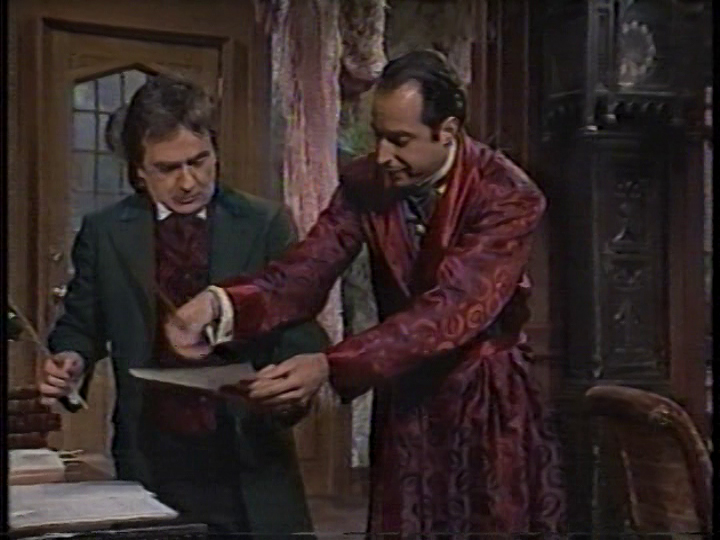 Master Thespian (Jon Lovitz) rehearses for a command performance with his co-star and rival Sir Roger Tewksbury (Dudley Moore). 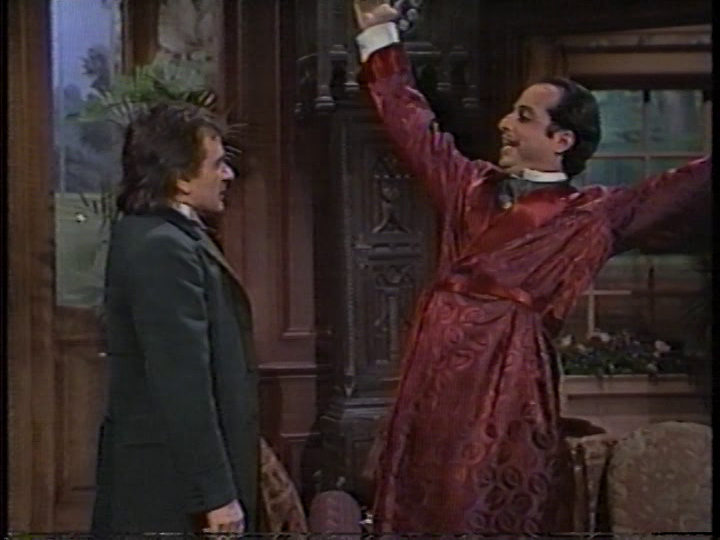 Moore’s chemistry with Lovitz isn’t quite as good as John Lithgow’s, but this has some fun moments, including Moore tossing his shawl, which lands on the chandelier (Lovitz: “Thank you for the lampshade!”), and the two actors duelling with quills. 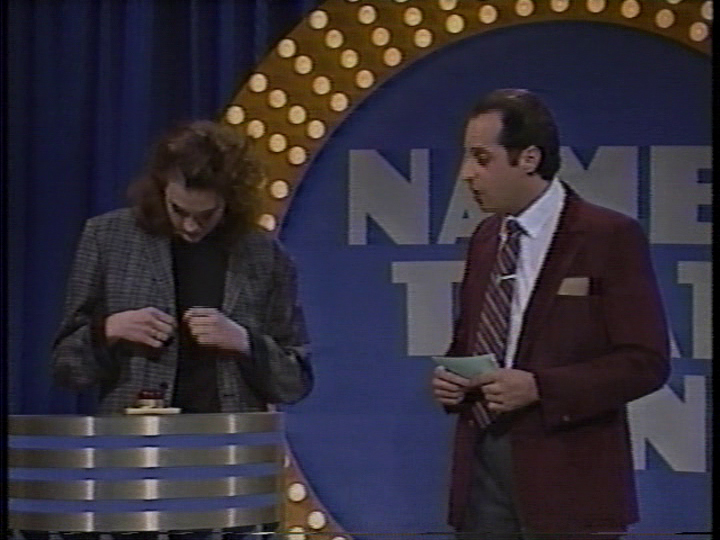 Moore screws up one of his lines by calling Lovitz “Tewksbury”. 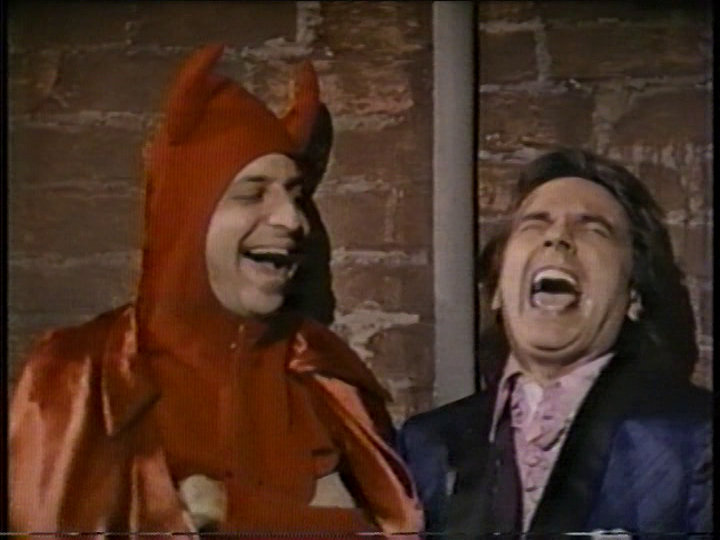 Written by Jon Lovitz and A. Whitney Brown. 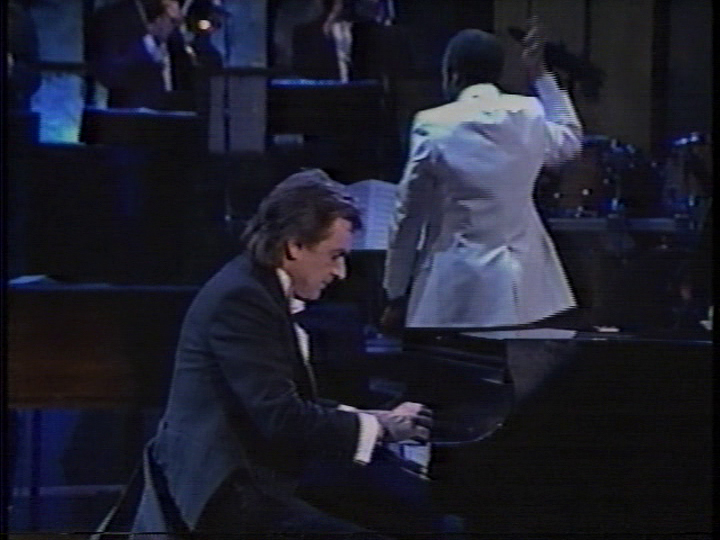 Dudley Moore prepares to play Tchaikovsky’s Concerto in B Flat Minor, but the SNL Band interrupts him with James Brown’s “I Got You (I Feel Good)”; Moore adds classical-style piano to the soul classic. 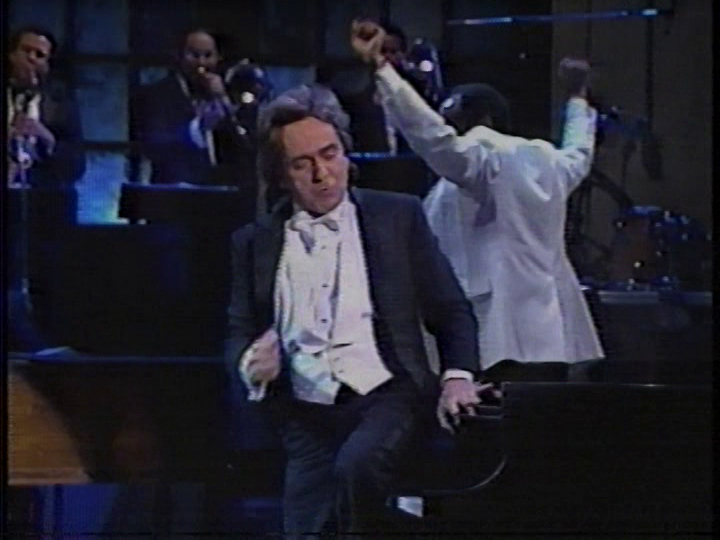 This was more impressive than full of hard laughs, but Moore gets some funny reactions at first, and this was ultimately a fun way to close tonight’s show. 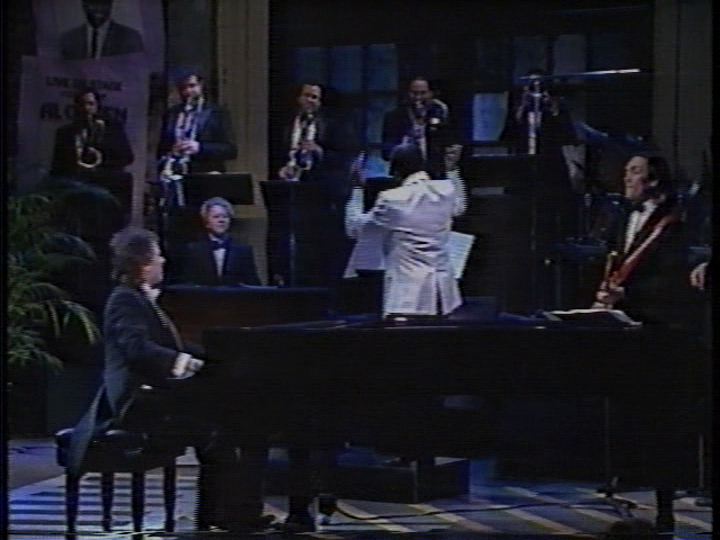 Cheryl Hardwick plays organ in this number as Leon Pendarvis is busy conducting the band (his smiles back at Moore add to the fun). 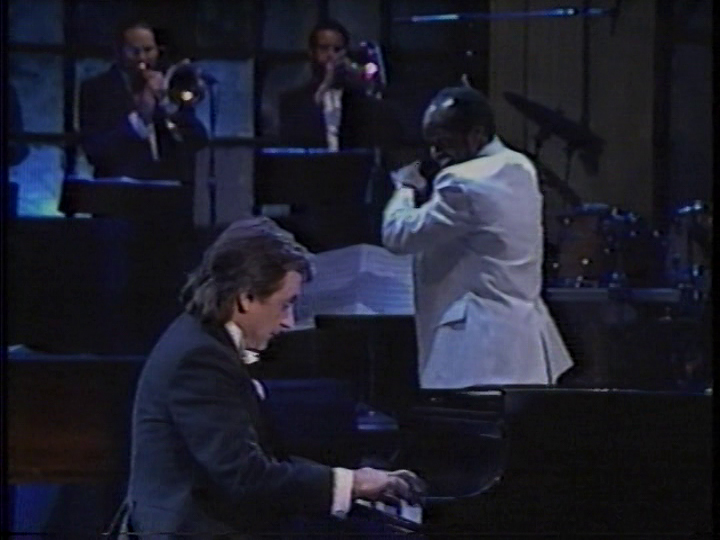 Steve Ferrone is at the drum kit instead of Horton, and Tropea does not appear here. 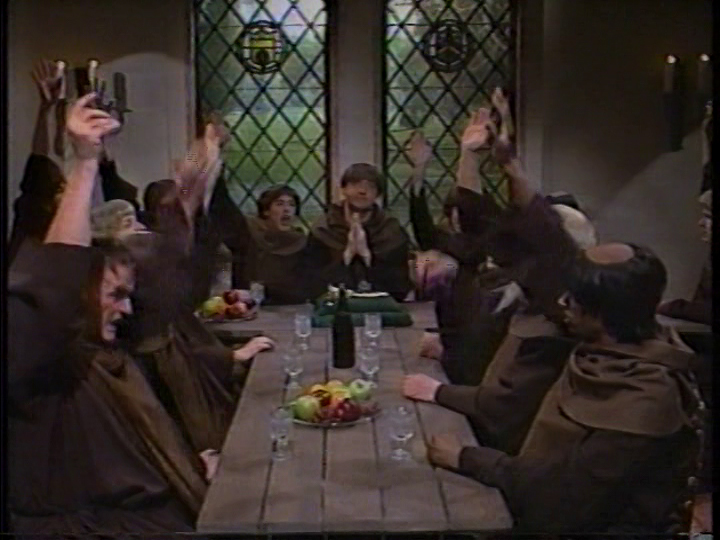 Dudley Moore jokes that they’re back for a brand new hour and a half before thanking Rev. 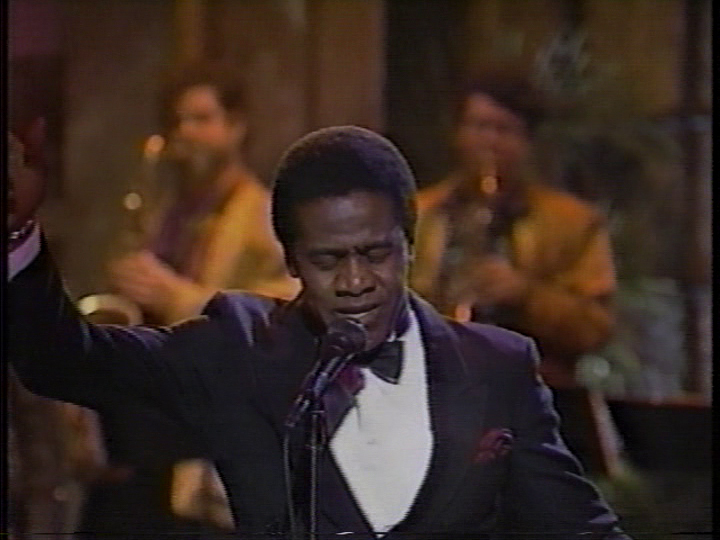 Al Green for “singing so beautifully”, and says he’s going to miss them all because “he shan’t be here next week” (and neither will they; a Late Night with David Letterman anniversary special pre-empted the show the following week). 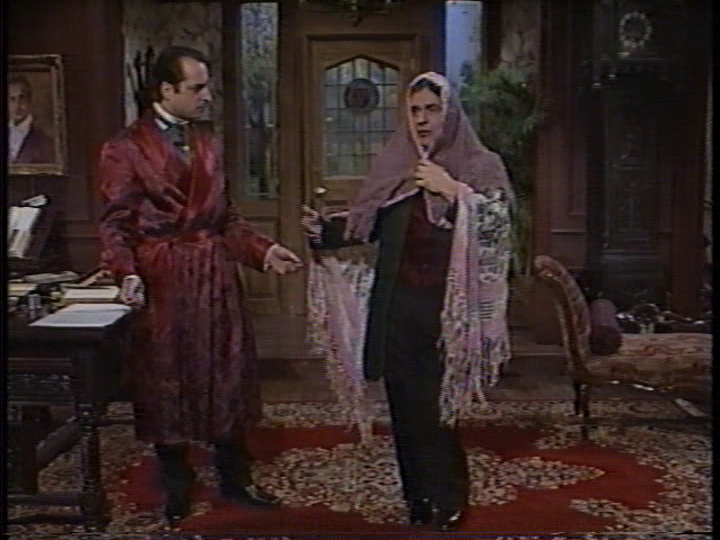 Nora Dunn and Joan Cusack are wearing the outfits they wore in “Just Like Phoebe”, a sketch cut from dress rehearsal that aired in the repeats (more info below). 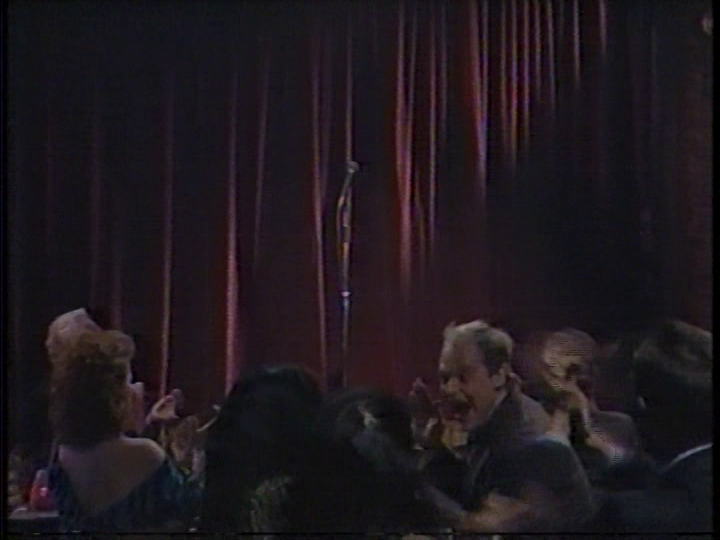 The extras from Miss Pregnant Teenage America join Moore and the cast onstage. 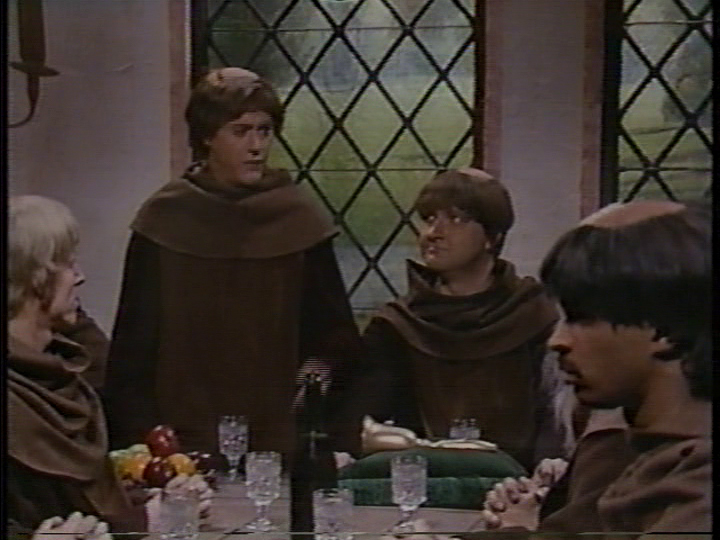 Rerun alterations: Pardo’s voiceover is removed. 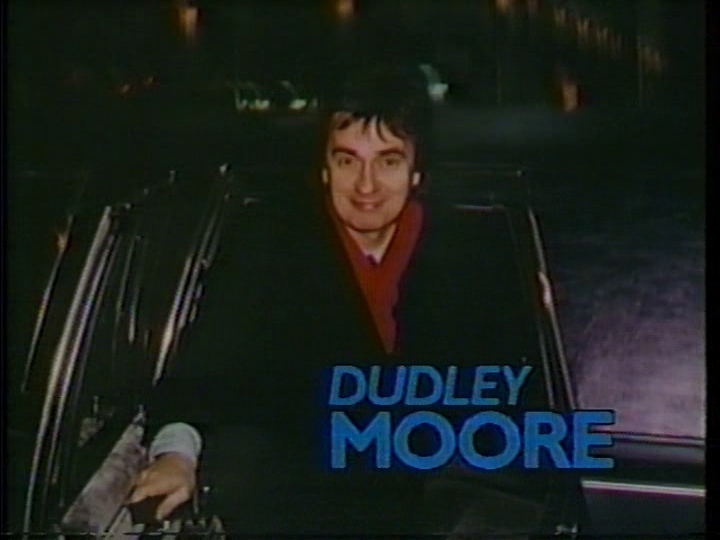 Final thoughts: This may not have hit the heights of Pee-Wee Herman, John Lithgow or Tom Hanks’ shows, but tonight’s show proved to be a decent rebound from the Garr and Stanton, thanks to Dudley Moore’s previous experience on the show and use of one of his old standby pieces. 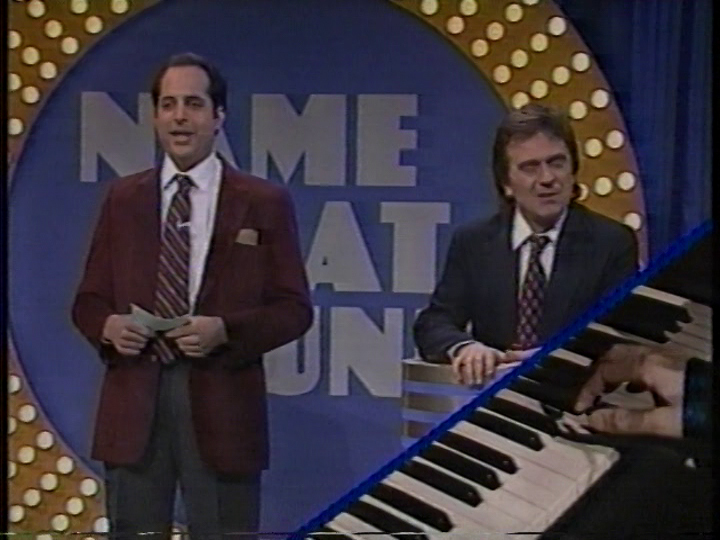 While Moore’s best contributions to tonight’s show involved him playing the piano, he was a good host that played well off the rest of the cast, of which, Jon Lovitz got the most screen time tonight, a sign of his emergence as the show’s breakout star this season. Maxwell’s (Dudley Moore) new wife Kathy (Joan Cusack) learns their relationship has been him trying to replace his ex-girlfriend Phoebe (Nora Dunn). I liked this one; this felt like another throwback to the more realistic slice of life pieces from the early seasons of the show. I liked Cusack’s acting (even though she messes up one of her lines), but Dunn gets the best laugh here with her understated “not really” when Moore asks her if she misses him.